Introducing to the market 512 Whale Ave. A great floorplan in Brighton Woods with a brand new large rear porch addition. This huge porch gives this home an additional 800 square Ft. and adds extreme value when comparing to other homes in the area! The entire HVAC systems were also just replaced in 2017. 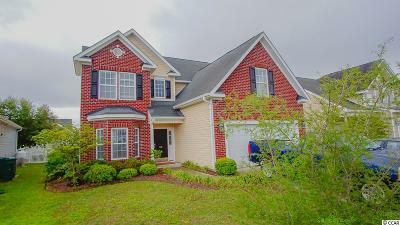 Brighton Woods is a great South Strand community located within the award-winning St. James school district. Brighton Woods is only about 5 miles from the Murrells Inlet Marshwalk and 5 minutes from the Surfside Beach pier, so don't overlook this community when searching the Southern Grand Strand area. Not to mention the monthly HOA dues are very reasonable and include trash pick-up and basic cable. The convenient location is fantastic! 512 Whale Ave. is a 4 bedroom 2.5 bath with many upgrades and additions. 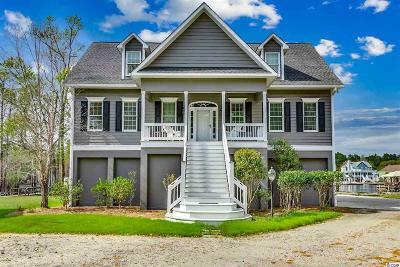 A few highlights include: Hardwoods in the foyer, fireplace, large bonus room, 40x20 ft rear porch, privacy fencing, NEW HVAC, his & her walk-in closets, large kitchen featuring an island, and much-much more! This is great deal for such a large floor plan, providing you an ample amount of space to live AND entertain!